When someone sends you a friend request on Facebook, what’s the first thing you go and check out? Their profile page, right? Let’s admit it, there are some key things that you look for when you’re reviewing their profile. Keep those things in mind and think about what they will see when they, in return, check out your Facebook profile page. People perform Facebook friends searches all day, every day so it’s important that that checklist you just ran down, in your head, while looking at someone else’s Facebook account profile should already be in place on yours. Have a fun & engaging photo. 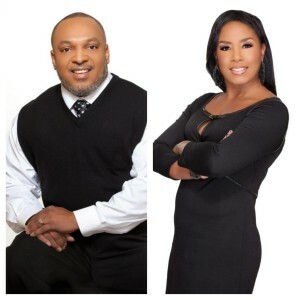 Have a profile picture that represents you – it should be clear, inviting and you should be smiling. Complete your Bio – what would you want people to read about you. Force your views, i.e., political/spiritual, on others – don’t be argumentative and conflicting. Mix your business name with your name – ex. Firstname <businessname> Last name. Not cool – you are the brand. Represent yourself and yourself ONLY. Use your pet’s picture as your profile picture – we all love our pets but when someone comes to your page, they want to see who they are trying to connect with and your pet isn’t it. Take pride in what is represented on your Facebook profile page. It’s yours. Be possessive with it “my profile on Facebook”. You are responsible for what appears on it because it’s a representation of you. Check your privacy settings and make changes to where you have to approve when you are tagged or someone wants to place something on your timeline. Implement these do’s and don’ts and you’ll do just fine. 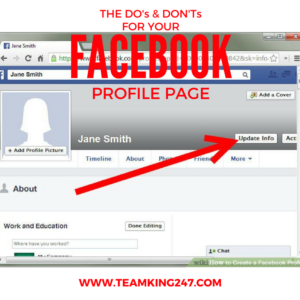 We hope you found today’s quick tip post on the do’s and don’ts for your Facebook Profile page helpful. If you found today’s post to be of value to you, then we would love for you to leave a comment below. Also, if you believe this information would be a blessing to someone else, then feel free to share it with others. Social media plays a HUGE role in our businesses. It puts us in touch with people outside of our immediate area or sphere of influence. And, if done correctly, we could reap HUGE benefits of social networking. Continue reading as we share some tips on what has been working for us. 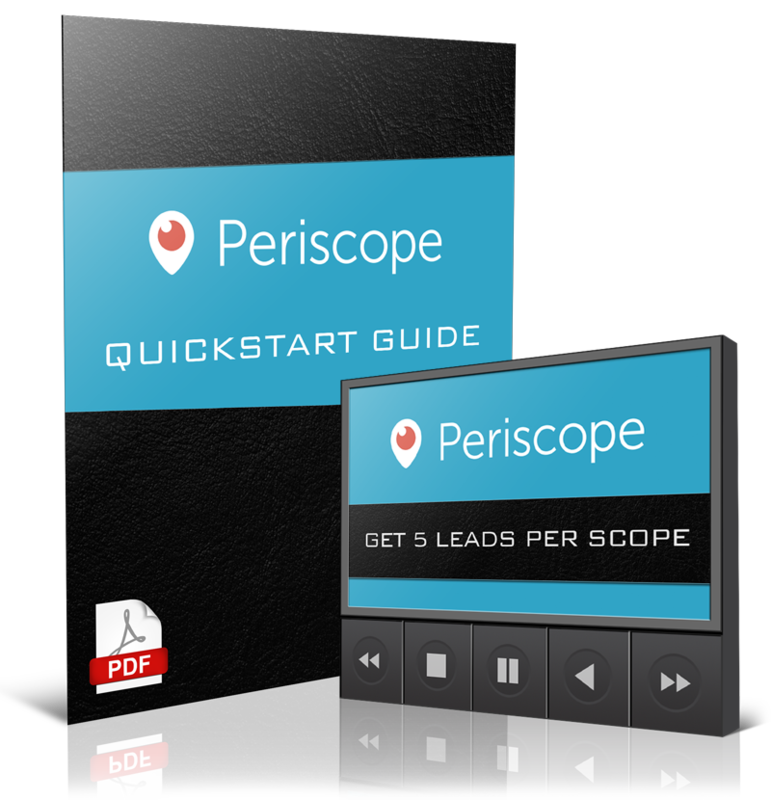 [WEBINAR] FREE FACEBOOK TRAINING: FaceBook Made Easy for traffic, leads, and sales. The advantages of social networking allows us to connect with people all over the world right from the palm of our hands. However, how many of you know that there are some positive effects of social networking and some negative effects of social networking. Expand your network – utilize the Suggested Friends option and send those friend requests. However, if there’s someone that you would like to connect with that doesn’t appear on the Suggested Friends list, then “Follow” them. When you “friend” a lot of people, you run the risk of being placed in Facebook jail. Following them will allow their posts to appear in your newsfeed enabling you to engage in their post; hence, they will, in turn, send you a Friend request and the relationship has already been established with that individual. Remember “why” you connected with them in the first place – send them a private message informing them why you’ve sent them a Friend Request. Find a commonality that you share and expound on it. Don’t pitch your business opportunity at the first shot. Connect with them on a personal level first. Take the time to allow them to get to know, like and trust you. Give them time – if you’ve inboxed them and they haven’t yet responded, give them time. If you get alerts that they have are celebrating a special occasion, i.e., birthday, anniversary, etc, then inbox them or post on their wall a birthday/anniversary wish. People like it when they know they are being thought of. If you are blindly messaging people – be sure that you: 1.) write down the names of those that you have sent messages to and 2.) 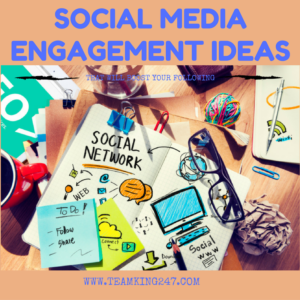 be “engaging” in their posts. Interact with them; don’t just “like” their posts. People like to get feedback. Don’t you? These are some of the things that we’ve found to be helpful in growing our business. Your social media impact can make or break your business. Make sure you’re using it to your advantage to extend your reach while genuinely connecting with others that you wouldn’t otherwise have the opportunity to meet. 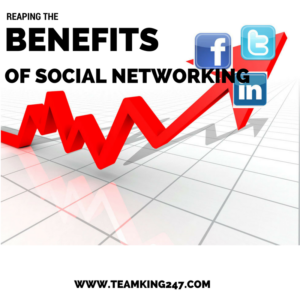 We hope you found today’s post on reaping the benefits of social networking informative. If you found today’s post to be of value to you, then we would love for you to leave a comment below. Also, if you believe this information would be a blessing to someone else, then feel free to share it with others. If you have a Facebook fan page but have very little likes, then you’ll love what we have to share with you in today’s post. Keep reading to learn how you can simultaneously increase your Facebook fan page likes AND build your email lists. FaceBook Prodigy Finally Exposes How ANYONE Can Get .25 Cent Leads via FB’s Mobile Ads Platform. DISCLAIMER: If you are a business owner or thriving entrepreneur, then you should create a fan page on Facebook page. Once you’ve created it, then use the tactics, mentioned below, to get more likes on Facebook. Create an ad that increases likes – Use the Ad Manager to create an ad that targets Page likes. When creating the ad, you will have the ability to select certain criteria of who you want your ad to be displayed to. Be specific as possible, especially if you’re working with a small marketing budget. Once the ad runs, give it a few days before you begin analyzing the data and making tweaks to your ad. Create a 2nd ad that targets those that Like your Fan Page – This ad should appear to those that already like your Facebook fan page. It should promote an offer that solves a problem your audience is currently experience. That ad will take them to a landing page that presents an offer in exchange for their email address information. Giving your fans/followers valuable content in exchange for their email address is CRUCIAL the success of you building your email list. Running ads, in this sequence, puts in you a win-win situation because it allows you to continue marketing to your prospects outside of social media. Now, you may be asking: what content should I post on my Facebook fan page? Content that will educate your audience and establish you as an authority figure. Just make sure you’re always delivering value to your audience and they will stay loyal to you, your Facebook fan page and your email list for the long haul. 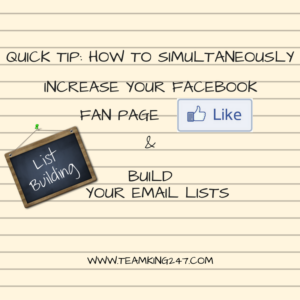 We hope you found today’s quick tip post on how to simultaneously increase your Facebook fan page likes and build your email list informative. If you found today’s post to be of value to you, then we would love for you to leave a comment below. Also, if you believe this information would be a blessing to someone else, then feel free to share it with others. Has this happened to you: you’re scrolling through your social media feed and you come across this stunning picture and wonder “how did they do that?”? Don’t sweat it, we’ve got you covered. We reveal our top 3 favorite best editing pictures apps for creating those eye-catching, stunning photos like you see in your social media feed. Ex-Cocktail Waitress Hacks Instagram for 21+ Red-Hot Leads Per Day for FREE, and Now You Can Too! InstaQuote – good for overlaying quotes on photos. Photofy – good for overlaying quotes, text, logos, etc as well as adding frames to your pictures. This app also offers various templates to format your photos. There’s a free and premium version available. We recommend the premium to unlock the complete package of all of what the app has to offer. Word Swag – good for using various fonts that give your text that elegance touch on your photos. It also has a feature that offers quote suggestions. These phone only apps for pictures are available in both the App store and Google Play. As for a desktop version apps, one good editing apps for pictures that we highly recommend is Canva (at canva.com). This app is great for creating photos for your website, blog, video thumbnails, etc. They also offer pre-prepared pictures, available for a small fee ($1) that you can purchase and then add your own text for your promotional needs. You can also use this app to create your logo or branding icon for future use on all of your social media pics. 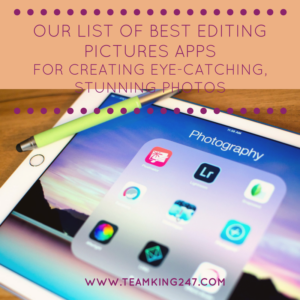 We hope you found today’s quick tip post on our list of the best editing pictures apps for creating eye-catching, stunning photos helpful. If you found today’s post to be of value to you, then we would love for you to leave a comment below. Also, if you believe this information would be a blessing to someone else, then feel free to share it with others. Get Instant Access to My Revised “3-Min Expert Blogging Program – Attraction Marketing Edition” for a Limited Time! Social media sharing allows you to maximize your reach while reducing your marketing dollar cost. In other words, when you use content sharing on social media, you’re, most likely, using free sites AND sites that you already frequent. Use content sharing sites – if it’s a blog that you’re trying to drive traffic to, then every blog will have the social media share buttons enabled. Begin sharing your own content on the various social share sites. Sites such as: Google+, LinkedIn, Pinterest, Facebook, Twitter, StumbleUpon…just to name a few. Write a teaser sentence, or two, then include the link to your blog post. This, too, also extends your reach. If you implement these two strategies, then you are bound to see an increase in traffic to your content. The key to making this work is that your content has been of value to your reader. In other words, it has to be something that they can take away feeling as though they’ve learned something new. Don’t think about pitching your business or your products and services, just yet, until you’ve established a solid connection with your new found fans. We hope you found today’s quick tip on the power of sharing your content in Facebook groups helpful. If you found today’s post to be of value to you, then we would love for you to leave a comment below. Also, if you believe this information would be a blessing to someone else, then feel free to share it with others. 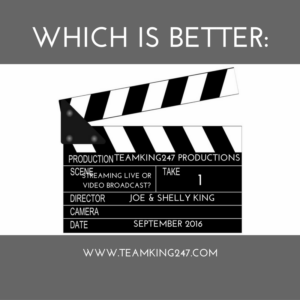 QUICK TIP: Which is Better: Streaming Live or a Video Broadcast? 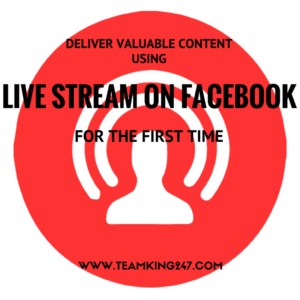 With all that the various social media platforms are offering these days which do you think is best for you to interact with your followers: streaming live or a video broadcast? We were shocked to learn that a certain social media platform syndicates your live streams more so than your recorded videos. It’s their tool – this should have been a given. Any social media platform is always going to boost their own tools over the use of someone else’s because it’s their tool. They want you to use it. It keeps you on their platform – unlike you recording a YouTube video and then uploading it to your various social media platforms, they rather you provide you with a one stop shop environment. It allows them to showcase the popularity of their new tools – Social media platforms are just like any other business; it’s a numbers game. When they design a new integration it makes good business sense to show the usefulness of their new design; hence the more people that use it, the better they look. 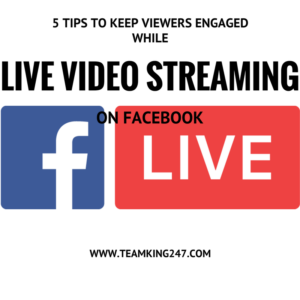 So the next time you think about doing a broadcast video, if the intend behind the video is simply for engagement, where you’re giving your audience some valuable content that they can you, then use free live streaming before resulting to using a recorded method. We hope you found today’s quick tip on which is better: streaming live or a video broadcast useful. If you found today’s post to be of value to you, then we would love for you to leave a comment below. Also, if you believe this information would be a blessing to someone else, then feel free to share it with others. Ever wonder when is the best time to post on social media? Or, why is it that your posts aren’t getting as much engagement as you have followers? To answer these, and other questions, requires social media analytic tools. 10-Minute Per Day Instagram Blueprint’ to Add 150+ Leads Per Month to Your Business… for FREE! Social medial monitoring services enable you to see how well your social media accounts are doing, how many followers engage in your content, what posts get the most interaction, when’s the best time of the day to post, what days are better than others, and so much more. Iconosquare – This is a paid service with packages that range from as little as $49/yr to as high as $499/yr for their Corporate package. They provide all of the above mentioned services as well as some automated services. Based on the package you purchase, you can manage at least 3 or more social media accounts. Their website is https://pro.iconosquare.com/. Square Lovin – This is a FREE social media analytics service that does, with the exception of the automated posting, the exact same thing. Unlike Iconosquare, you can only manage 3 social media accounts. Their website is: https://www.squarelovin.com/business/. Whichever service you decide to try, and once you create your account, be patient while the tool gathers the information it needs to give you the best options. Also know that both services are NOT mobile apps but instead they are desktop applications. Monitor your social media dashboards as the data is being collected, assess your peak times for posting and maximize on the engagement and you will begin to see the positive effects from these social analytics tools. 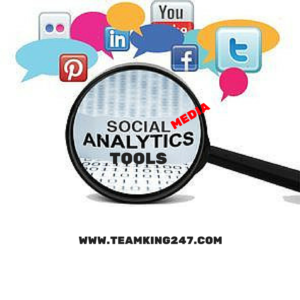 We hope you found today’s post on social media analytic tools useful. If you found today’s post to be of value to you, then we would love for you to leave a comment below. Also, if you believe this information would be a blessing to someone else, then feel free to share it with others.